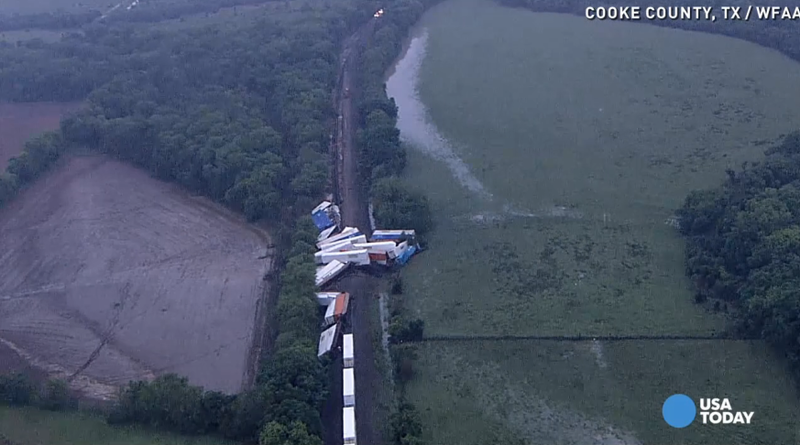 Cooke County, Texas train derailment: Four treated and released. 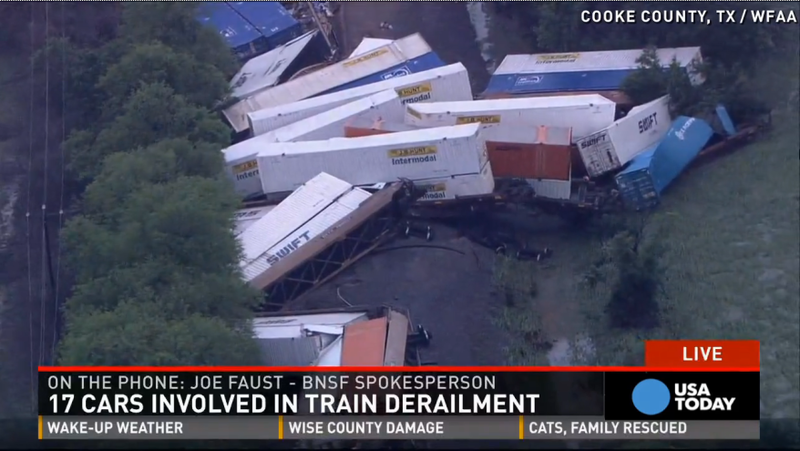 The train derailed in north Texas early Friday morning. 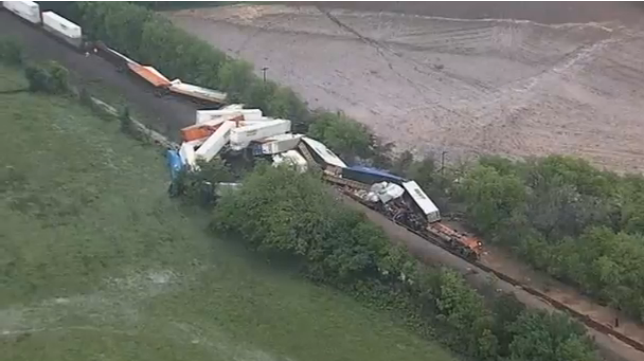 Four employees of the BNSF Railway company were injured in a massive early-Friday Texas train crash but have already been treated and released from a hospital, Reuters reports. The accident occurred about 50 miles north of Fort Worth and was “likely” caused by high winds and flooding.